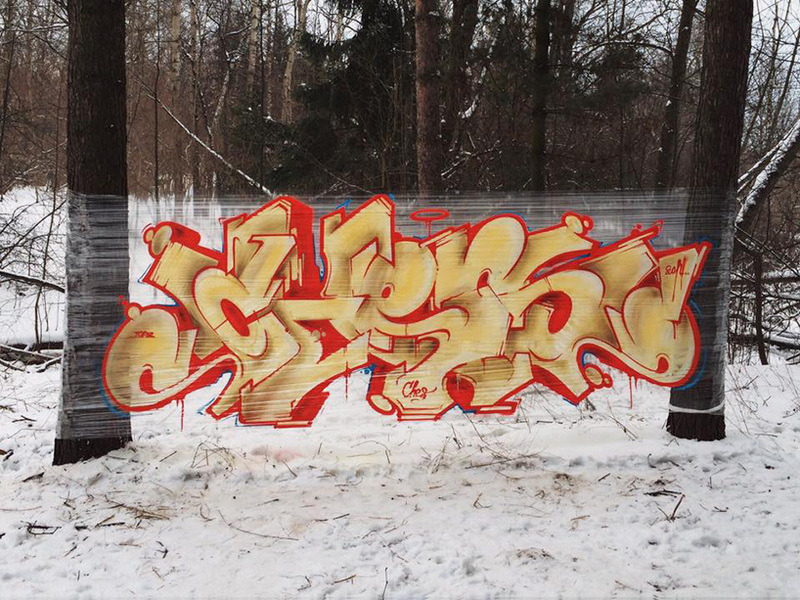 hailing from moscow, artist evgeny ches has honed a craft that lies outside of the traditional graffiti genre. 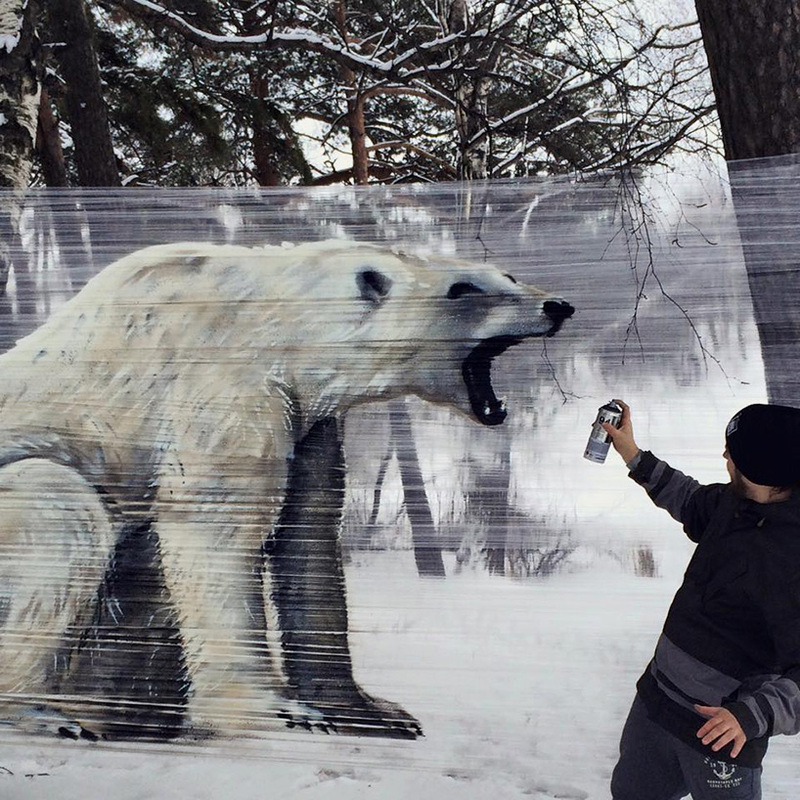 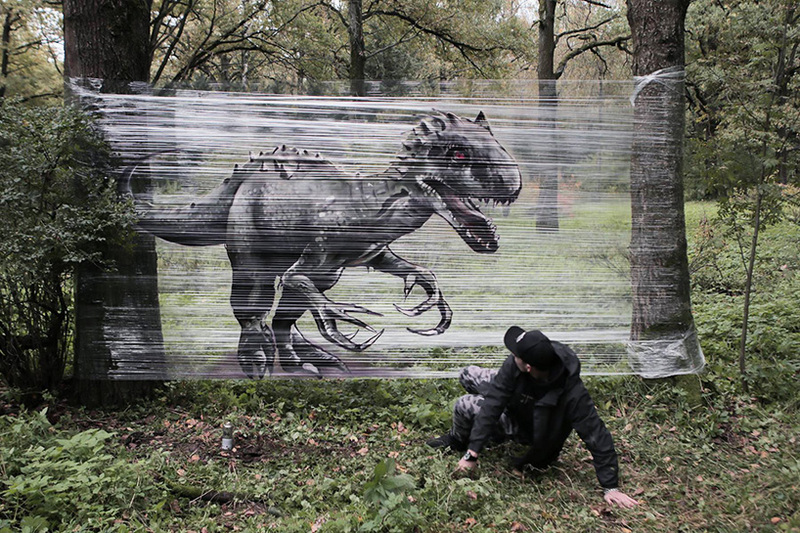 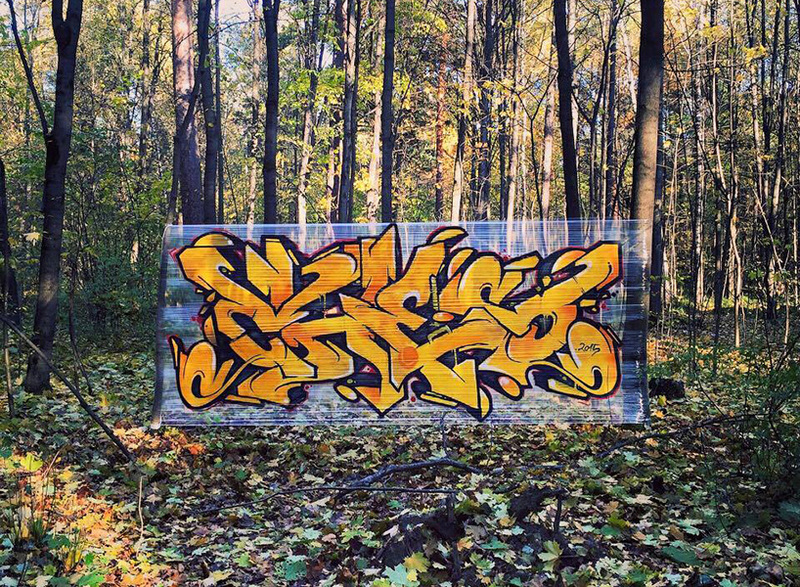 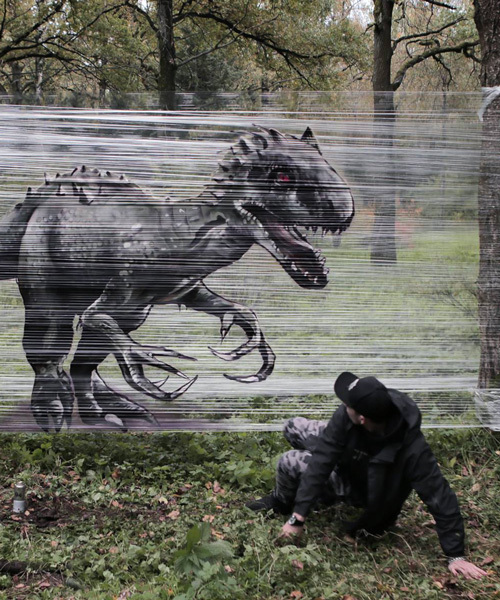 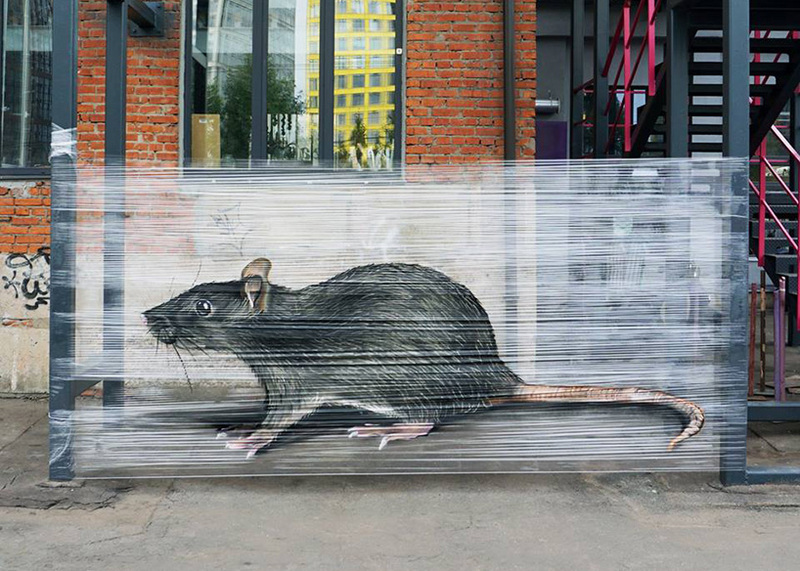 working primarily outdoors, ches practices ‘cellograffiti’, the art of painting of plastic wrap rather than solid walls. 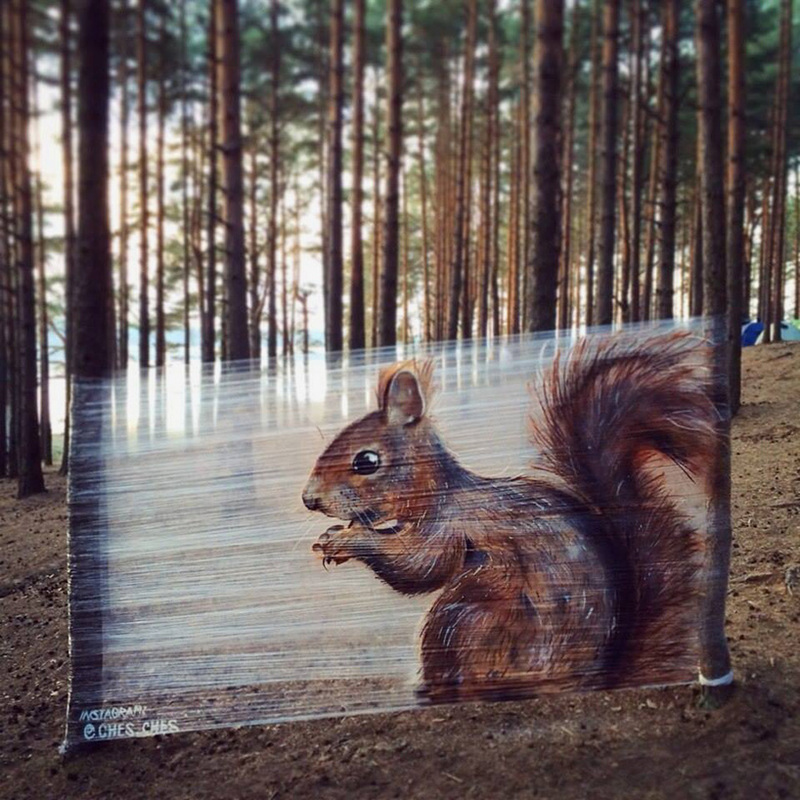 images emerge on semi-transparent surfaces, seemingly materializing from thin air and shifting perspective as viewers change their vantage point. 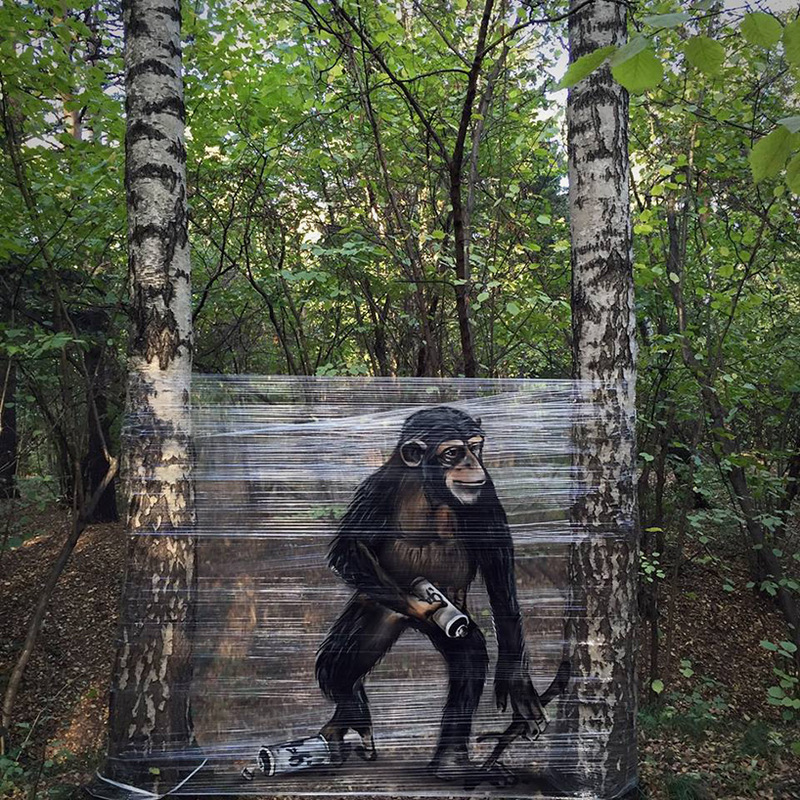 recently, ches has created a series of ‘cellograffiti’ installations in the forest, working with humble materials like plastic lining and spray paint. 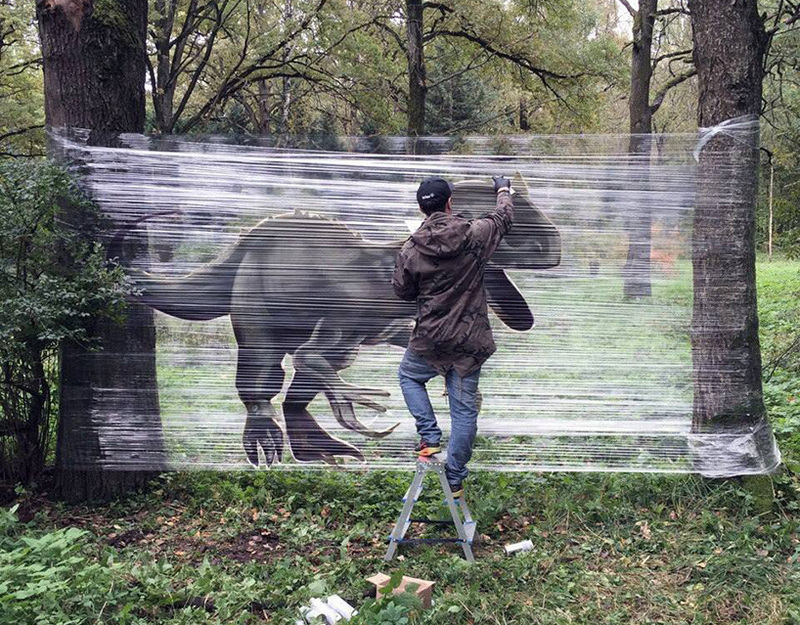 the artist first carefully wraps a few adjacent trees with the transparent sheets, creating a surface on which to spray. 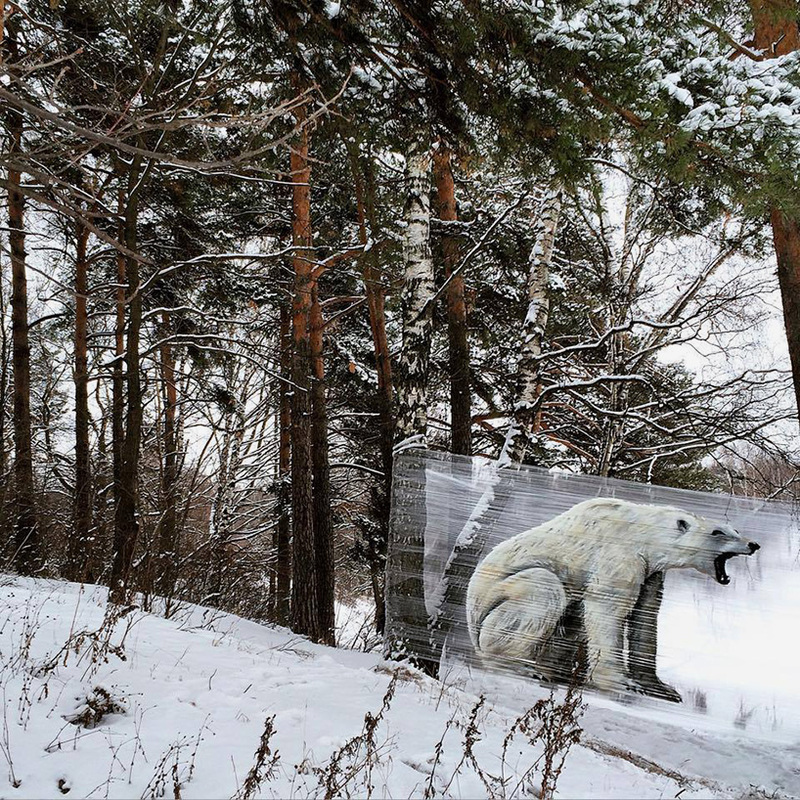 fantastical images — including dinosaurs, polar bears and other woodland creatures — emerge from the middle of the forest abyss. 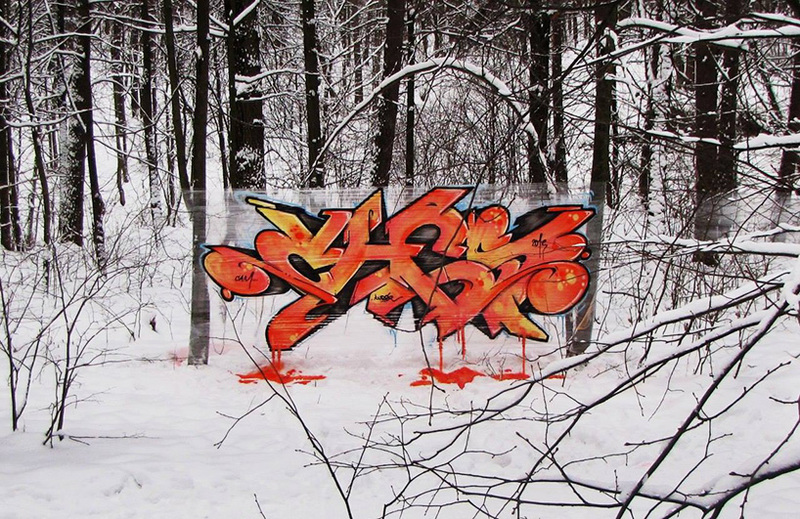 in addition to his series of animals, ches has also completed typographic compositions in the forest, juxtaposed against the otherwise serene and natural background.